Why is it that all of my friends happen to teach spin? Don’t get me wrong, I love getting sweaty, fitting in a good workout, and rocking out to feel-good music, but spin? It’s not my cup of tea. My hips lock up and I feel like an uncoordinated leggy mess. We all have things we like to do and other things that well, aren’t up our alley. Despite this, I committed to joining my incredibly talented friend Carrie while she taught one of her spin classes this past weekend (RPM Les Mills’ format for you fancy peeps). Although I am still not a fan of spin, I must admit that I had fun. My legs burned, I thought I might die on that bike right there, but it was fun. In the spirit of spinning (and while I still have the positive memories of this weekend) I wanted to share the top six reasons that I dig spin (as of this moment right now). First thing I noticed when walking into Carrie’s class was everyone’s legs. Umm, hello? Do you Tour de France? If you spend just one to two days a week spinning, your legs will lean out and gain strength. Notice that I didn’t say anything about gaining mass? A common misperception is that spinning will make your legs bulky, but nothing could be further from the truth. Hitting up the stationary bike for just 45 minutes, one to two times a week, can help tone and create those long, lean muscles that would make the Greek gods cry with envy. Spinning is an insane calorie burner. In a 45 minute class, I burn up to 715 calories – no joke. The high intensity, interval/hill format of today’s spin classes maximize your caloric burn in a short amount of time. For those of you who are busy, like me, that’s a win-win. For those of us who primarily weight lift or CrossFit, incorporate a spin class into your workout routine once a week. The impact spin can have on your cardio capacity is amazing – it can even help you climb those flights of stairs without gasping for air. Unlike many of the physical activities that are popular today (I see you CrossFit and running), spin is relatively low impact. The low impact nature of this activity makes it something almost anyone can participate in – especially given the fact that the entire class is scalable to your personal ability (I’m looking at you – I know you didn’t actually turn the knob a quarter turn!). This is an added bonus to those of us who do high-impact activities. Seriously, give your body a break once in awhile and choose the lower-impact option, spin. Another benefit of spin is that it can be done year round. For my friends in cold climates (hello Chicago), it gets difficult to participate in outdoor activities in the winter sometimes. Phoenix, I know how it is in the summer! The hot and cold temperatures outside don’t affect a spin room where the party on a bike can happen in any kind of weather! 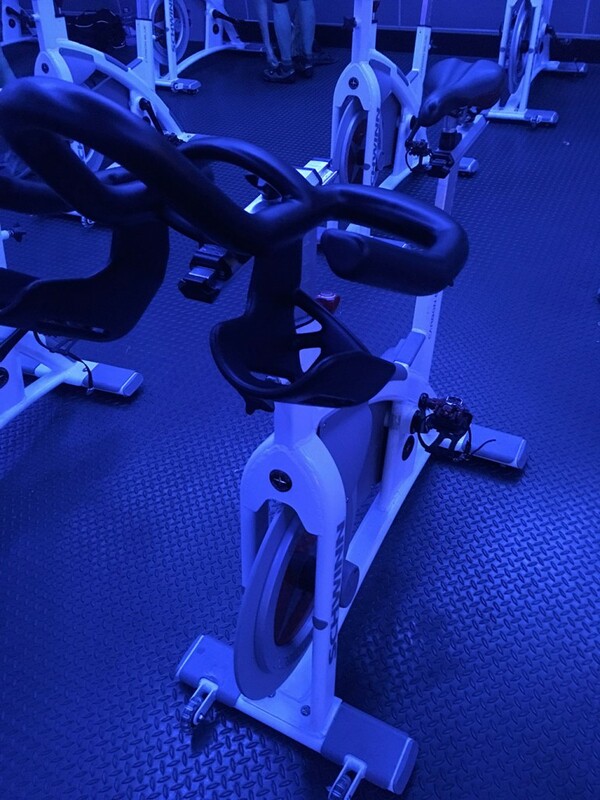 Finally, spin classes are a great place to build friendships and relationships. There is nothing like the sweat and smell of one another to bond a group together for life. In all seriousness though, the fun music, flashing lights, and high energy sweat dripping creates a euphoric state of amazing people. Fitness really can lead to the best friendships out there. So, next time your friend wants you to try something that might not be your typical idea of fun, give it a go (especially if it is spin). You never know what might be in store when you step outside your comfort zone and party on a bike together.